Students should have achieved at least a B grade in both Arts Skills and Processes and Arts Responses and have an enthusiastic approach to Dance. This course will be completed over 2 years. 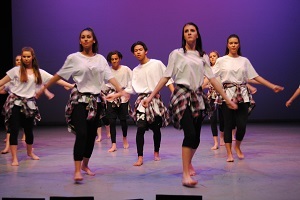 A student successfully completing this course will develop their performance skills, improve their dance techniques across genres and work closely with others. They will have opportunities to develop choreography skills. This course would complement additional study towards employment in the fitness industry in areas such as personal training and aerobics instruction.